During the summer months, many people venture to Seguin, home to some of the best camping in Texas. The Guadalupe River runs through town making it an ideal location for camping and exploring nature. Roger (Name changed for privacy), a Texas native, used to venture to Seguin every August… Until a creepy encounter happened just last year. “My wife and daughter aren’t big on camping,” he began with a soft chuckle. “So every August I take four or five days and drive to Seguin to fish and enjoy nature in a way I can’t in Dallas. It was evening when I made it last year,” Roger recalled. “It was too late to fish for my dinner, so I decided to make myself a sandwich and read in my cabin for the rest of the night. 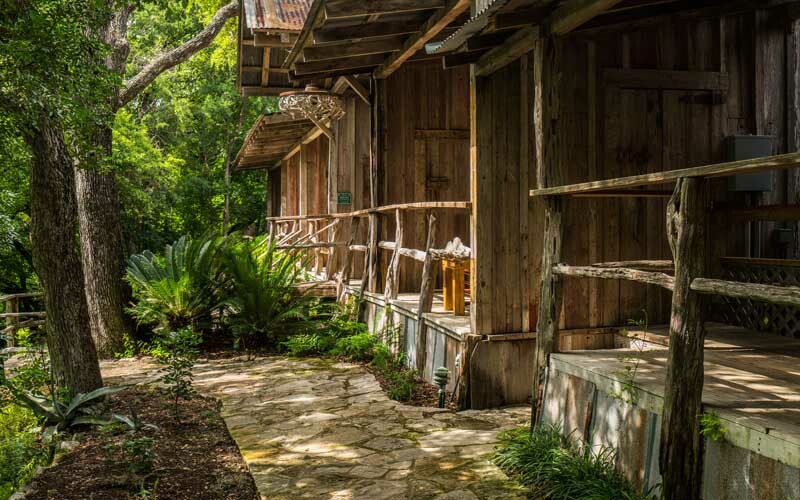 As I sprawled out on the bed, I kept hearing distance voices of other people in the Guadalupe River cabins. It was nice to be both part of a community of nature lovers, but separate in my own space. “Later that night, the voices seemed to grow louder. I fidgeted in bed for a while, irritated that the lodge had somehow become a place for parties—it was never like that in previous years. But all the same, I tried to ignore it. “It was likely that someone just got too drunk. Eventually I fell asleep, only to be woken up a few hours later to the sound of someone crying. It was so loud, it sounded like someone was crying right outside my cabin door. “Alarmed and annoyed, I tumbled out of bed and threw open the door,” he said with an exaggerated gesture. “But nobody was there. Nobody was even standing nearby. “I had just closed the cabin door behind me when the crying started up again. It was so loud, almost as though whoever was upset was standing right beside me. I started to think that some kids at the lodge had decided to play some childish prank on me. “But all the tiny hairs on my arms began to stand on end. It was that, more than the crying, that started to freak me out. If the crying stemmed from some logical and natural origin, why was my body acting like it wasn’t? “I slept extremely poorly that night, and spent as much time the next day outside. But when it came time to sleep again…Well, let’s just say I was pretty apprehensive,” he shrugged uncomfortably. “I was just drifting off when this quiet, yet incessant wailing started up again. It seemed to drift around my cabin as if carried on a wind. The cry was so creepy and so mournful, I got out of bed and called the manager of the cabins, asking if I could request a different cabin. “The line turned to static, and then a strange whimper sound. Then silence. Nothing. No dial tone, and the noise in my cabin went silent, too. The suddenly, it felt like the area around me had become charged with electricity. As if the air was humming, similar to when you pass near voltage lines. That lasted for a couple minutes then abruptly stopped. “I managed to fall asleep, and the next day I asked for a different cabin. 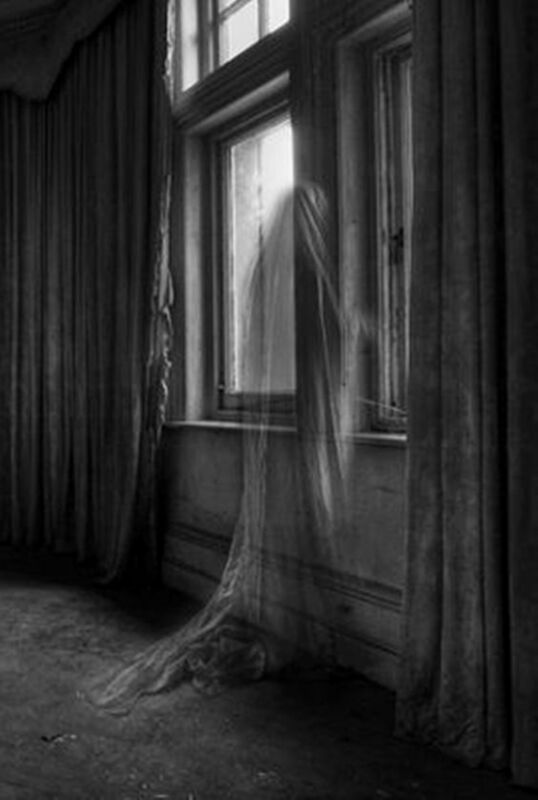 I made up some dumb excuse, I’d never admit to hearing a ghost. I half expected the sound to start up again, but it was silent. All night. Whatever was making that sound was unique to that one cabin.